Now available on CD/DVD or as a digital download! 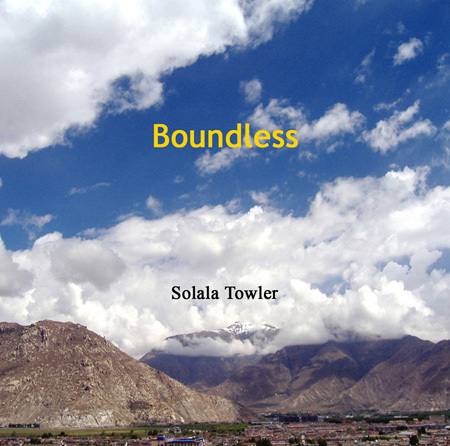 Take a journey into the philosophy and practices of Taoism with master teacher Solala Towler. Over five hours of audio and two hours of video along with a 130-page book. The eight main principles of Taoism and instruction on Taoist Meditation. Seven guided meditations and more. 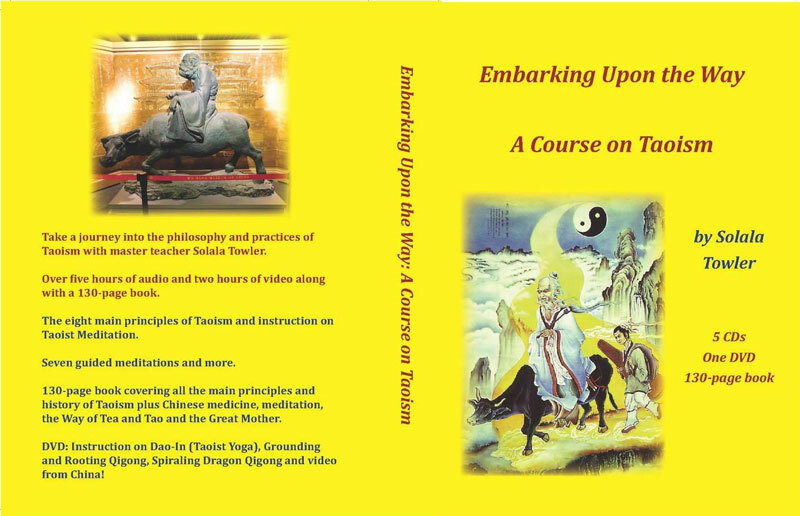 130-page book covering all the main principles and history of Taoism plus Chinese medicine, meditation, the Way of Tea and Tao and the Great Mother. Listen to free tracks from Solala’s CDs plus interviews with some of the leading Daoist teachers and authors. Just go to the audio downloads section of the website. An interview with our friend Jiaye (Old Grandfather), a hermit who has lived in a cave high in the Wudang Mountains for over 20 years. For part two of this video as well as to watch other videos from China click on the Read More button below. Our mission is to create a community of people interested in pursuing Daoist thought and practice. We publish a magazine (The Empty Vessel), organize tours to the sacred Daoist mountains of China, offer qigong training, and provide tools and resources to live a centered and balanced life in the contemporary world. The organization was created in 1993 by Solala Towler. We also invite speakers and teachers to share their wisdom and knowledge. The Empty Vessel is dedicated to the exploration and dissemination of Daoist philosophy and practice. It is open to sharing the various traditional and contemporary teachings in a nondiscriminatory manner. We at The Empty Vessel believe that it is in using these practices and attitudes of the ancient achieved masters in a timely and contemporary manner that we can best benefit from them and in doing so, be able to effect change in the world around us. Explore the world of traditional and contemporary Daoism on this site by visiting our blog section, download free articles from past issues of The Empty Vessel, watch informative videos from China and the world and peruse our store section where we offer a wide variety of books, cds, dvds and issues of The EmptyVessel, covering Daoist thought, qigong, Chinese medicine, internal alchemy, sexual cultivation and more. Visit our reader’s forum to dialogue with other students of Daoism and enjoy weekly quotes as well as I Ching readings for the week.